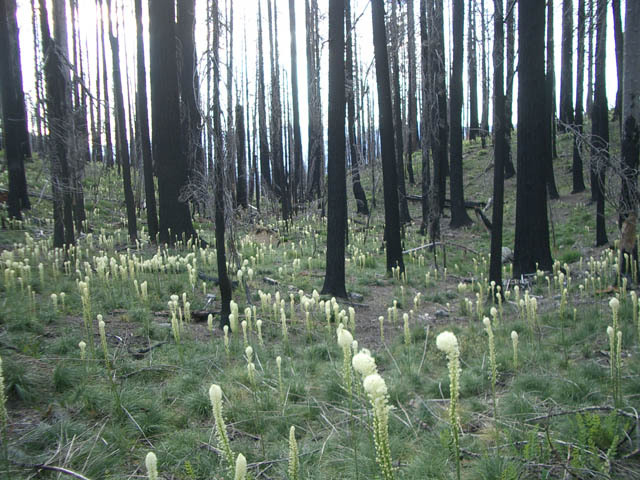 In mid July of 2002 a series of lightning strikes ignited a number of small fires in some very remote mountainous areas of SW Oregon. The fires merged into what became known as the Biscuit Fire, the largest fire that year in North America, burning across an area the size of Rhode Island. 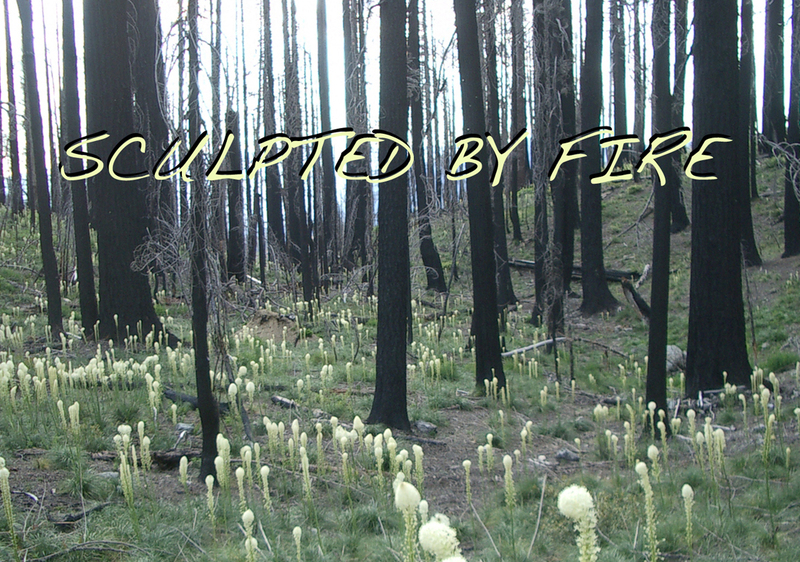 SCULPTED BY FIRE takes us on a journey into a landscape that for thousands of years has been shaped by fire. But now these wildlands of the West are at the epicenter of a political conflagration. SCULPTED BY FIRE was funded by the Paul Robeson fund, the Oregon Council for the Humanities, the Regional Arts and Culture Council and the Oregon Cultural Trust. SCULPTED BY FIRE is available on CD for $12. Order from: Feather & Fin Productions, P.O. Box 82777, Portland, Oregon 97282. 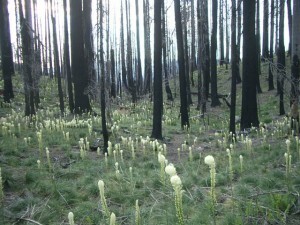 In the foreground of this grove of snags are three specimens of beargrass, a plant that returns with a vengence after major fire events. The blades of this grass are prized for basket-making by Native people in this region. 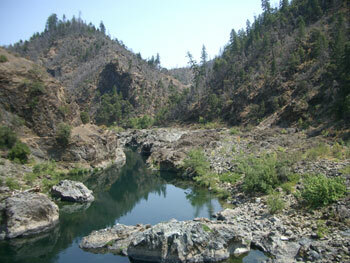 The Siskiyou wildlands has more wild and scenic rivers than any other region of comparable size. Above is the wild and scenic Illinois River that winds through much of the area burned by the Biscuit Fire in 2002. This river contains some of the most important salmon and steelhead habitat in the contiguous United States. Protecting the pristine waters of this river protects significant runs of endangered salmon. 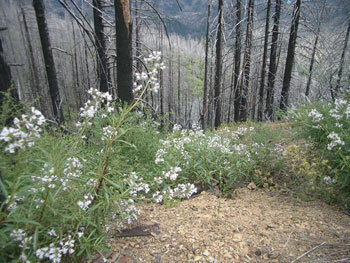 Mike’s Gulch was the first roadless area that was salvage logged after the Biscuit Fire. This view is from the top of the ridge a month before the logging started. Notice the steep slopes that are a major challenge to any kind of logging operation. All the logging was done down in the canyon below these meadows.